This bed is the iconic Classic Swedish bed. 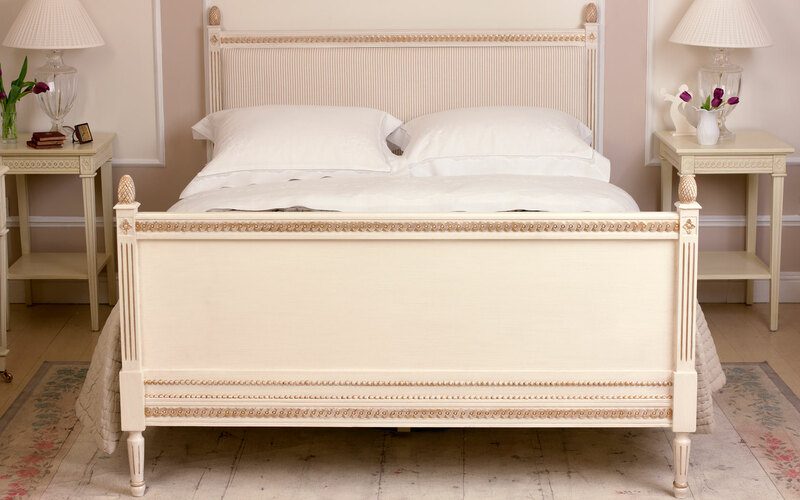 It has a fine detailed carving of the Gustavian plat pattern along the head and footboard. This bed can be either plain painted or with an upholstered headboard. Other Paint & Fabric finishes are available.